Open source hardware hasn’t really been a thing for very long, so it doesn’t have many success stories. Arduino is probably the only obvious one. Makerbot is quickly becoming the second. How can you tell when an idea is successful? Easy, it gets copied. Matt Strong figured out how to source the parts for a Makerbot Replicator from China and joined Kickstarter with a proposal: if he could gather $500,000 he would offer his TangiBot (a clone of the Replicator) for 30% less. How that turned out and what it means…after the jump. 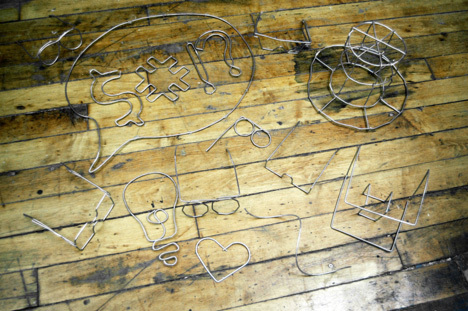 Solidoodle was included in a post on my older blog ‘printthat‘ back in the distant past (Dec 2011). Today, Solidoodle seems to have gotten more press in a month than Makerbot has gotten in a year. Okay, not that much, but the story definitely took off. I’m going to go ahead and take credit for Solidoodle’s breakout success. Sam Cervantes helped design the Mosaic at MakerGear, then did some time as the COO at Makerbot. Now he’s designed and is selling the Solidoodle. Its primary feature is its low price; $500. That’s the same price claimed for RepRaps, but the Solidoodle comes fully assembled. I suspect he is taking a loss selling them at that price. My guess is that it’s a promotional thing to help get market share. Believe it or not, there are actually a lot of options for people who want to buy a 3D printer. Particularly when you consider the fact that the most likely customers are DIY’ers who aren’t all that concerned about maybe having to assemble the thing themselves. Introducing a pre-assembled 3D printer means that he’s primarily competing against Makerbot’s Replicator and the UP! printer. Maybe the BFB-3000, but I don’t hear much about people using those. Anyway, it looks like Cervantes is trying to carve out a name for his printer in an unoccupied place in the market: RepRap price with high-end preassembly.